I have been a bit poor at posting regularily on here during the Winter Olympics here in Vancouver. This city has been crazy and I have been running myself ragged trying to see and do everything! Starting earlier this month I picked up a gig blogging for Beyond Robson, a Vancouver city happenings kind of site. There are some great writers there and if you are unfamiliar with it, check it out! 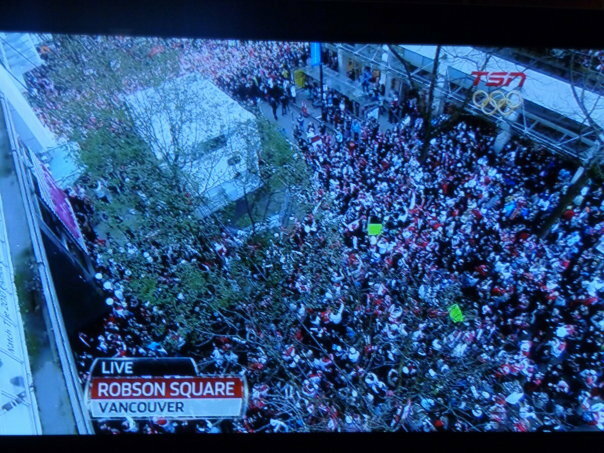 In the meantime, here are some links to my latest Olympic-related posts on Beyond Robson. Happy readings and enjoy the men’s hockey semi-final tonight, 6pm against Slovakia!!! 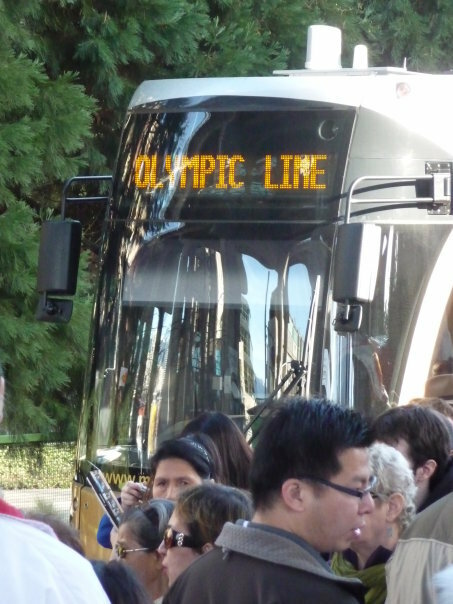 Will Vancouver’s Sombre Olympic Vibe Continue Past Feb 12th? 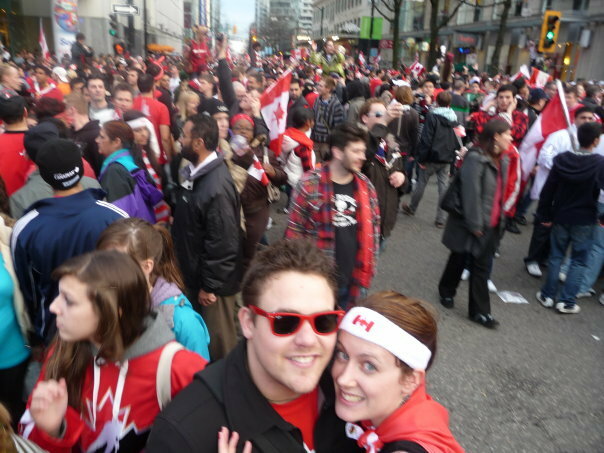 Vancouverites’ grumpiness and lack of enthusiasm over hosting the Olympic Games are making headlines as international media take note off the somber atmosphere in a city set to host the world in a matter of days. In many social circles, Olympic excitement and support is whispered with an apologetic shrug, for fear of incurring the wrath of those louder folks unhappy with the whole spectacle. Tales of visits to the official Olympic store and plans for taking in the events and celebrations are shared with hesitance. Laughs are being had, but in many cases, at the expense of the Games over lack of snow, the politics, spending, transportation, security and pretty much anything that can be poked fun at. 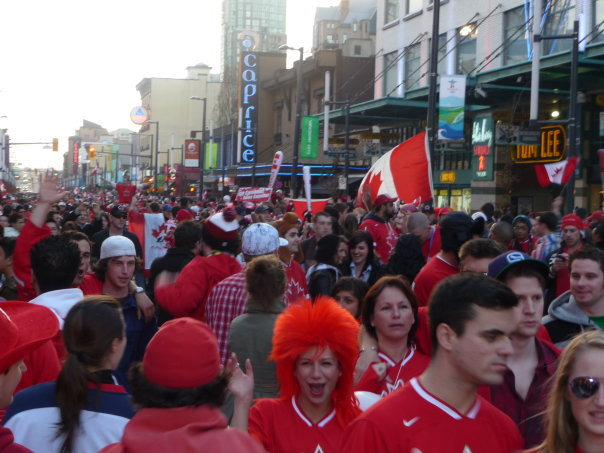 In a city very much divided over the world’s largest sporting event, the back-and-forth sentiment is cause for whiplash. I for one, am starting to feel schizophrenic over my own bandwagon nature, finding myself torn between excitement and outrage over the fanfare and its “issues”. But despite my moments of irritation and cries for social justice, I find myself wondering in disappointment if this is it? Other than the coordinated official displays of Olympic activity at Robson Square and along Granville Street downtown and the 100-foot high Olympic advertisements plastered up the sides of sponsoring skyscrapers, Vancouver is lacking the decoration of a city about to display itself on TV’s around the world. 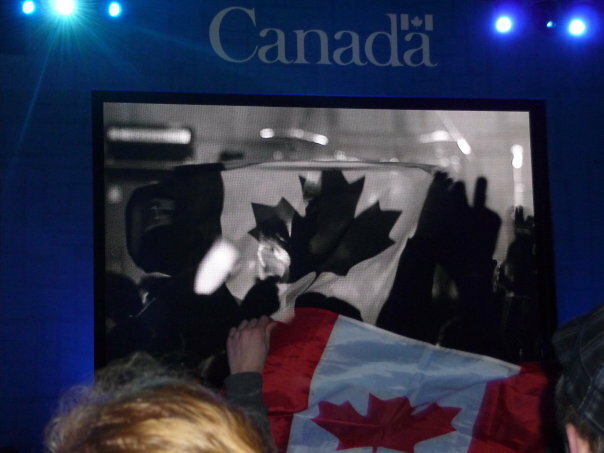 I am waiting for the crowds dressed in head-to-toe national colours, seas of red mittens, flags hanging in the windows of houses and banners hanging from every lamp post, hydro pole and street sign. So the torch is now in BC. Its on the cover of every newspaper each morning and I am starting to feel the excitement. I am letting it creep in. Last week, while dorking out on some Olympic merchandise at the official store in The Bay downtown, I watched as two young girls giggled uncontrollably as they held a torch replica for a photo; their proud parents snapping as many photos as possible before the next person’s turn. It made me remember how excited I used to get over the Olympics, before they came to my town. I remember watching as Ben Johnson won Gold. My entire family screaming encouragements at the TV…and then the disapointment as it was taken away from him. Elvis Stojko, Kurt Browning, Mark Tewksbury, Donovan Bailey…I watched them all. I used to hate going to school during those two weeks. I didn’t want to miss a thing. And, while never aspiring to be an Olympic athlete I always looked up to these people; these heroes. So now, at long last I am giving in. I am letting that innocence return, if only for a couple weeks. 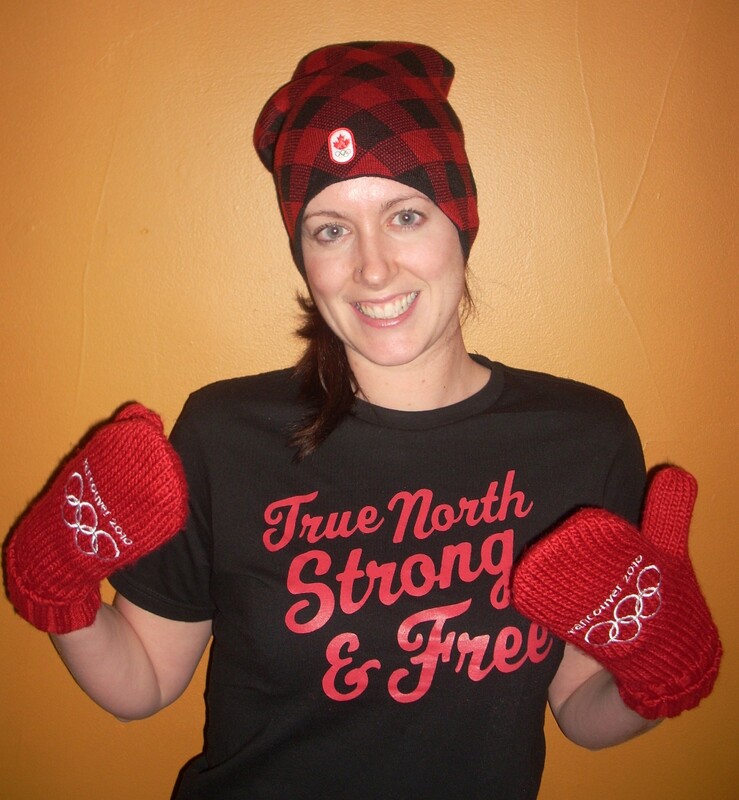 I am friggin excited and I plan on flaunting it all over town in cheesey Canadian Olympic clothing.